Become a sponsor... make a difference! Your sponsorship and support is so appreciated! 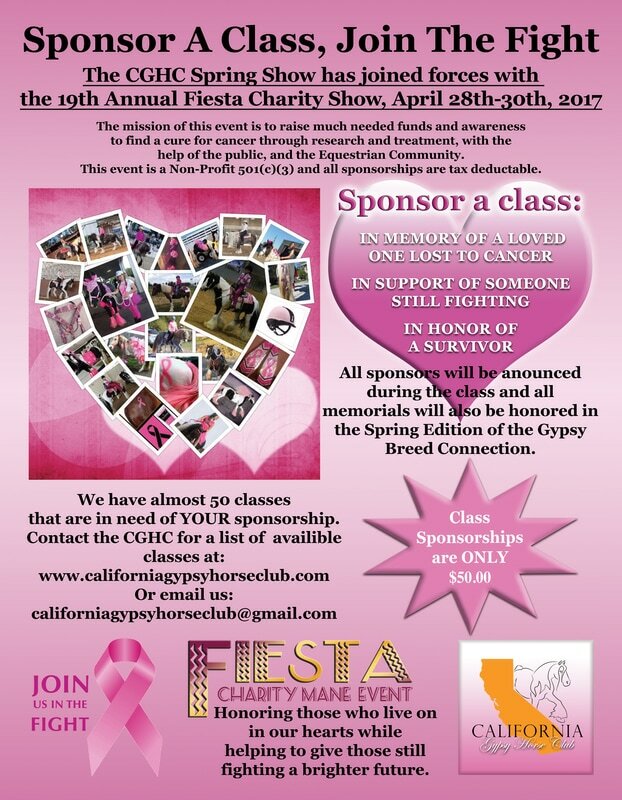 We rely completely on sponsorship's and fundraising efforts to support the California Gypsy Horse Club and the annual shows and events we host.